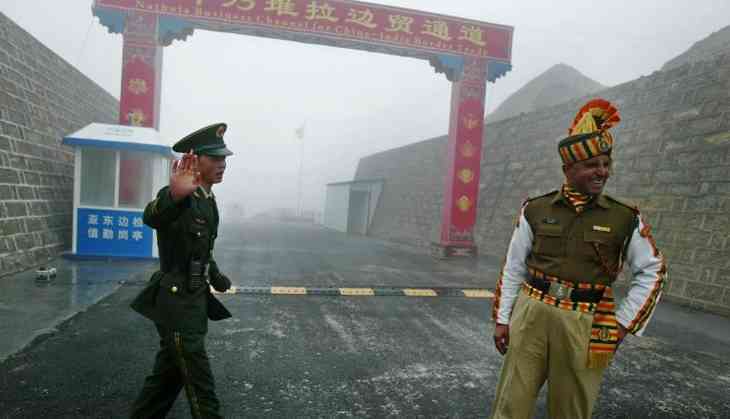 India-China border stand-off in Sikkim: is it part of larger geo-political games between countries? India and China are currently jostling on the international border in Sikkim, and experts are worried about how things have heated up in a region which is not known to be a bone of contention. They say the issue needs to be resolved at the earliest at the level of existing mechanisms on the ground, lest it escalates. The Ministry of External Affairs is yet to react to the developments. Tensions cropped up at a time when Prime Minister Narendra Modi was in the middle of his three-nation tour, including the all-important trip to the US, where he met President Donald Trump for the first time. The development also comes after India refused to be a part of the One Belt One Road Summit in China. The Dalai Lama's visit to Arunachal Pradesh had also irked the Chinese. China, continuing its aggressive posture, claims that it has legitimate rights over the region where it was constructing a road, and that the area about which the Indian side raised objections fell very much on the Chinese side. “According to the treaty, 'Zhe' is the ancient name of Sikkim,” Chinese foreign ministry spokesperson Lu Kang said in a statement, referring to the Sino-British treaty of 1890. This came after the Chinese military's accusations that the Indian Army stopped the construction of the road. The Chinese government accused Indian security personnel of crossing the boundary in the Sikkim section of the China-India border, and entering China's territory and obstructing normal activities of the Chinese frontier forces in the Donglang area, leading the Chinese side to take counter-measures. The new route to the Kailash-Mansarovar pilgrimage, which runs through Nathu La in Sikkim, became the casualty of this standoff, as China blocked the route after the border tensions. Jabin Jacob, fellow at the Institute of Chinese Studies in New Delhi, says both sides are pushing the limits, for while this area in Sikkim may not be demarcated, it is a defined boundary – something which is well settled between both sides. The way the tensions are building up in a new front in Sikkim is a matter of concern, he says. Jacob believes that the larger geo-political games on between both the countries may be a reason for the current stand-off, apart from the Chinese trying to send a message to India that South Asia cannot be just India's playground, and that some of India's neighbours also happen to share a border with China. Bhutan is an example where China has been vying for influence to undermine India's presence. The location of the present stand-off in Sikkim is close to the tri-junction of India, China and Bhutan. Ambassador RS Kalha, former diplomat and expert on India-China border issues, points out that the Sino-British treaty goes back to 1890, and that while the border demarcation between Sikkim and Tibet was accepted in 1949 when the People's Republic of China came into being, changes on the ground leave scope for a dispute. Kalha says it would be futile to link it to other issues between both the countries, and that the existing mechanisms to resolve such issues need to be activated. Could this stand-off escalate further? Jacob disagrees, though he does admit that the fact that such issues keep coming up is in itself a problem. TWEET THIS India and China are currently facing off over a new border dispute in Sikkim. This worries experts India-China border stand-off in Sikkim: is it part of larger geo-political games between countries? READ NEXT >> Bihar's Grand Alliance on the verge of break-up. Nitish set for NDA return?